Bishop Cleary confirming . One of the altar boys is the future Fr Thomas Yu who was to serve 33 years in prison and labour camp. Patrick Cleary was born at Kildysart, Co Clare in 1886 and died at St Columban’s, Dalgan Park, Navan on 23 October 1970. Having completed his secondary studies at St Flannan’s College, Ennis he went to St Patrick’s College Maynooth to study for the priesthood for the diocese of Killaloe. 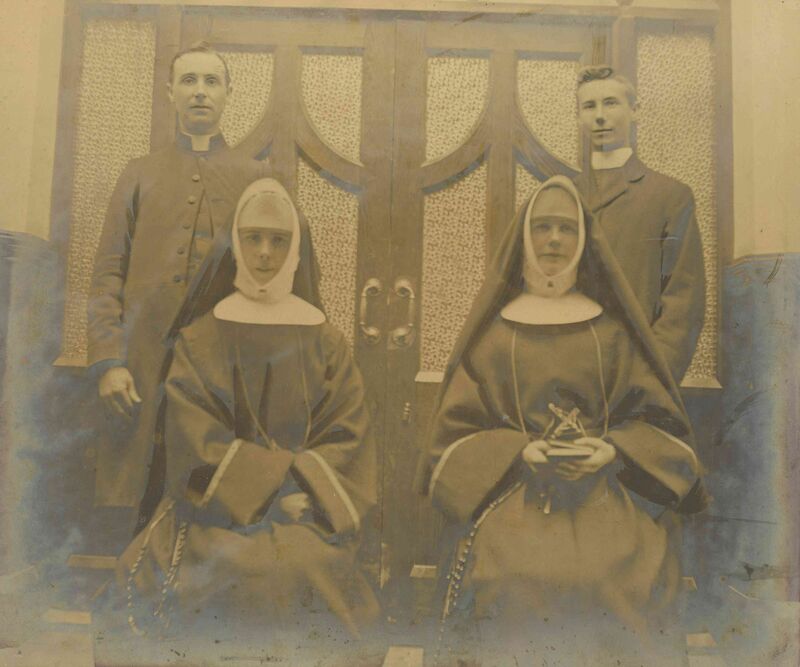 He was ordained a priest at Maynooth during June 1911 and obtained his Doctorate in Divinity there in 1914. From 1914 – 1918 he was a member of the teaching staff at Maynooth. He resigned his chair at Maynooth in 1918 and joined the Maynooth Mission to China later the Society of St Columban). He was appointed to the teaching staff at St Columban’s College, Dalgan in 1918 and become rector (1919-1930). 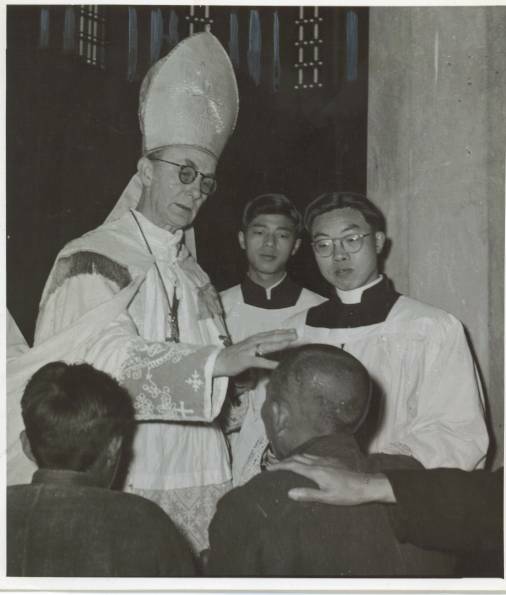 In 1931 Patrick Cleary went to China to replace Cornelius Tierney, the Columban Superior in Nancheng, who had died while a prisoner of communist guerrillas. 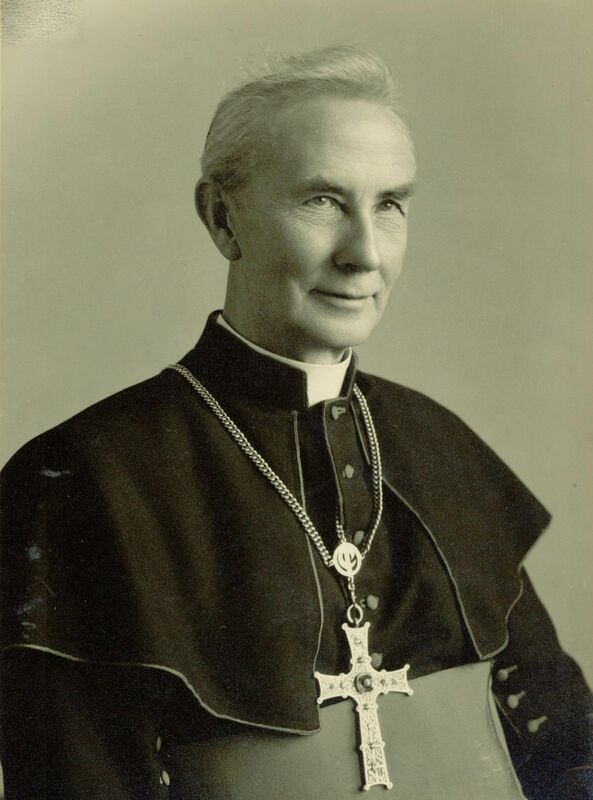 Appointed Prefect Apostolic in 1933 and Bishop in 1939, his main interest continued to be seminarians. In his seminary for Chinese students he taught Philosophy, Theology, Scripture, Canon Law and English. After the Communist takeover in 1949 his priests and sisters were expelled from China. Cleary was expelled in 1952. His remaining years spend quietly ar Dalgan where he is buried.